Looking GREAT, I love it!!!! Thanks guys for the great comments! They keep pushing me forward! 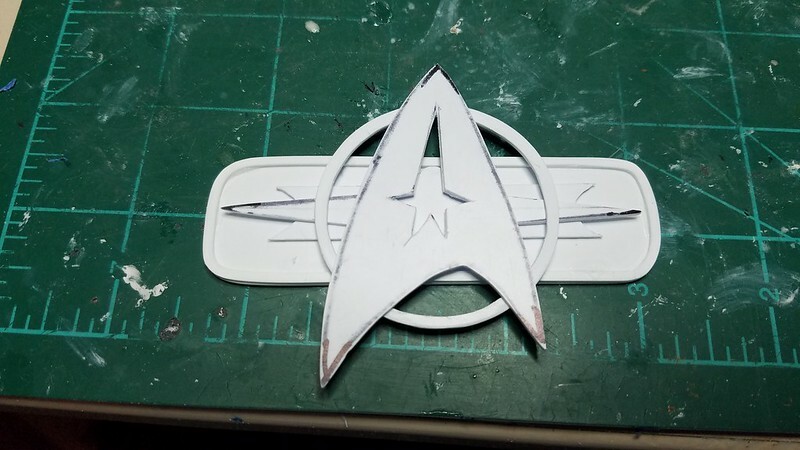 Just so this isn't an all writing post, in between filling holes and defects with putty, I started cutting out the badge/insignia that's gonna go on the display stand. 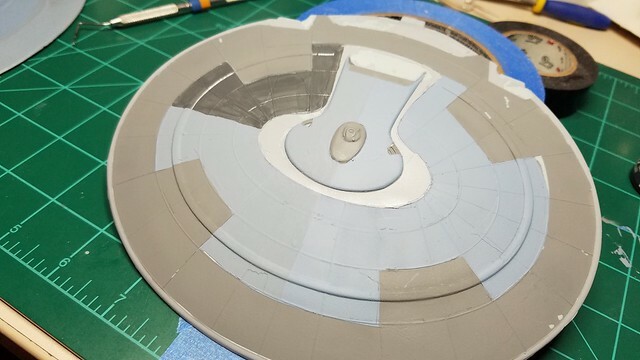 I am using 0.40mm flat sheet styrene as the source material. 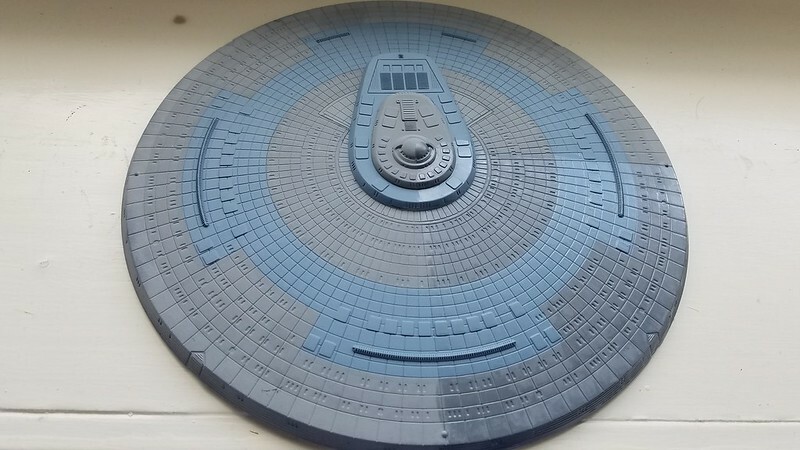 I hope to paint it tomorrow and assemble it soon. For the EC display stand. This will be a nice distraction while the putty sets. Sorry it's been a minute since I last posted but RL has me hopping and not hopping to the bench! Nonetheless, I have made some progress and have taken some pics to show you! 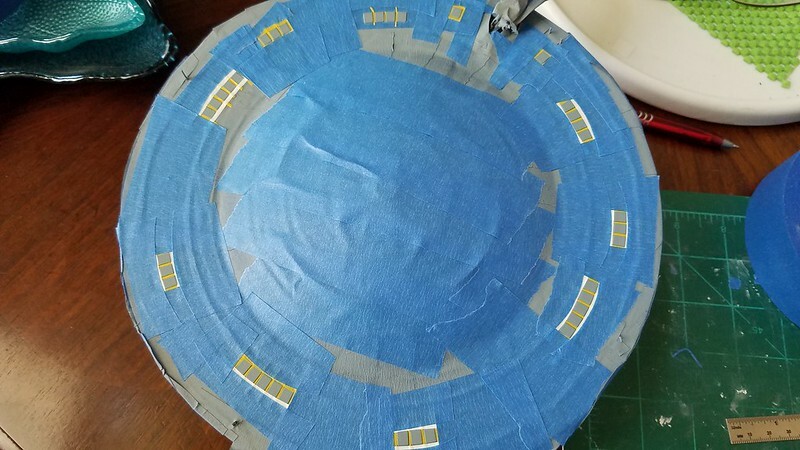 the seams and sand them, but this is one piece closer to final! 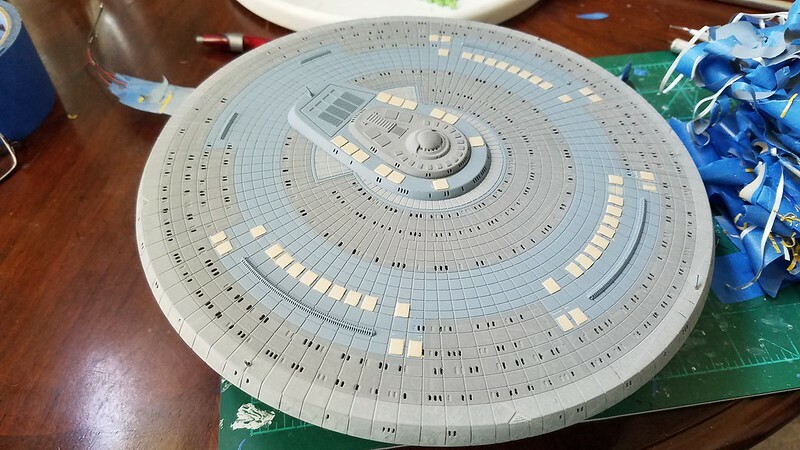 I am noticing that it seems to take me a year to build a model start to finish. If so, then, considering the amount of models in my stash, I should be finished by the time I'm 90 y.o.! I seated the Main Engines as well and masked them out, too. 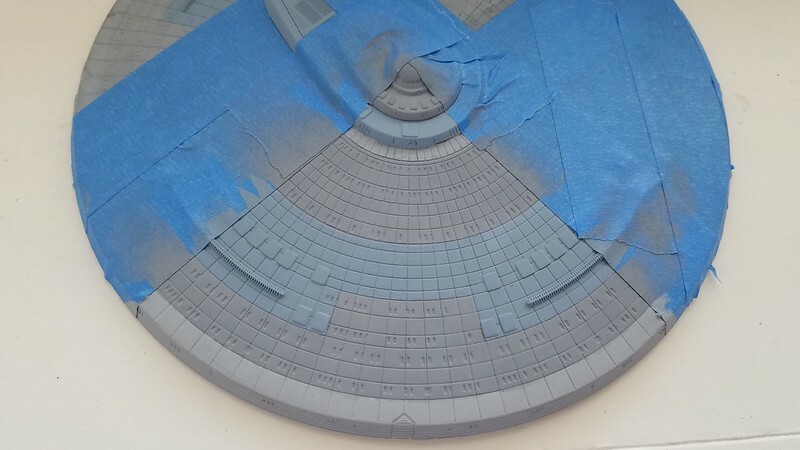 I still have to fill the gaps with putty and sand them indiscernable, but at least they are on! scheme which I feel lends more gravitas to the ships when they roll up on an opponent. 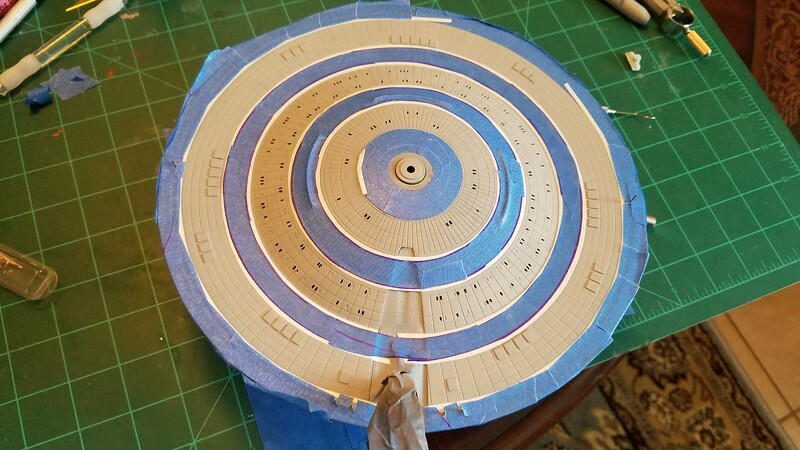 showing my attempts to visualize the colors on a ship! with some of my color tests. go with more of a grey color pallet. 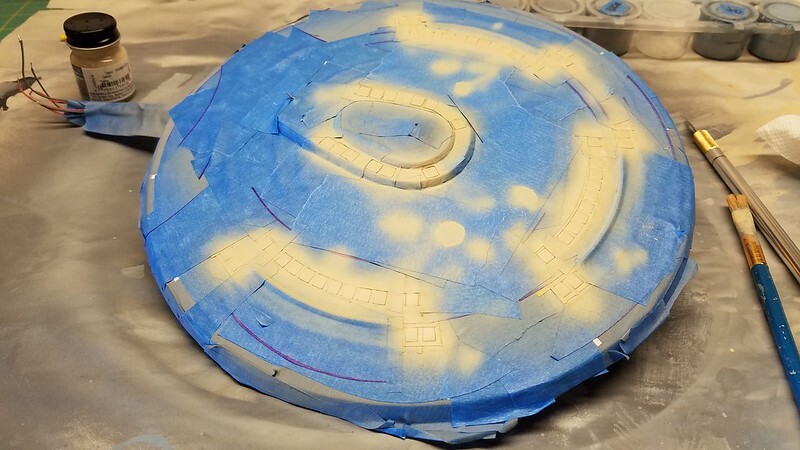 I ran out of spare models and made my own Paint test disc. 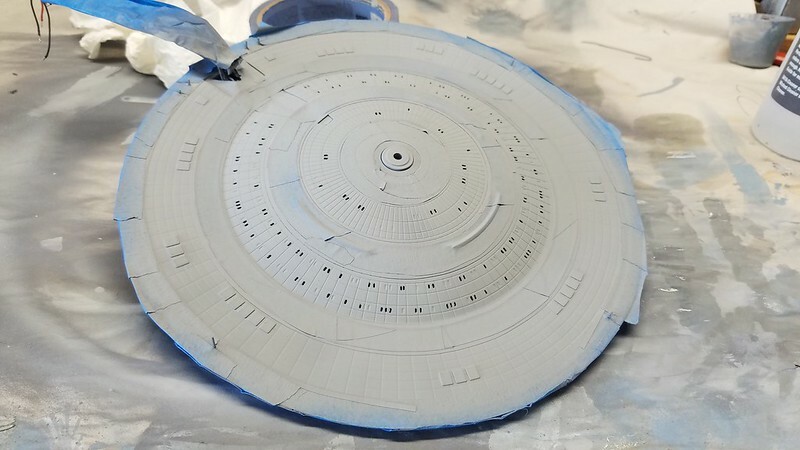 At least I could better see how the colors would look on a ship. 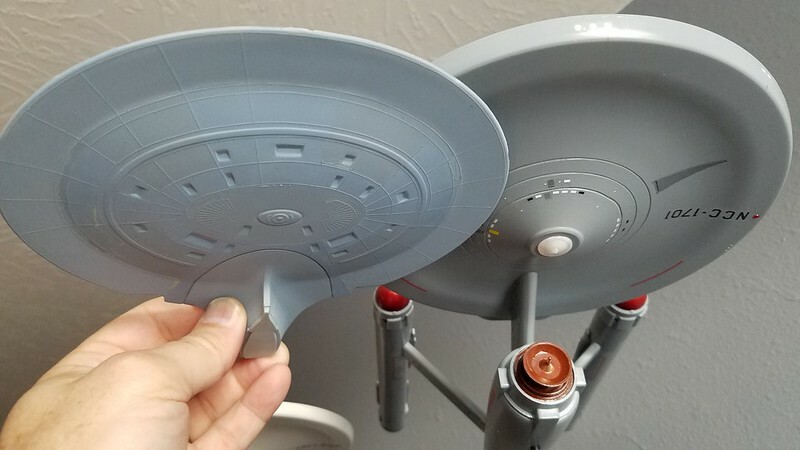 shown on the test spare saucer. 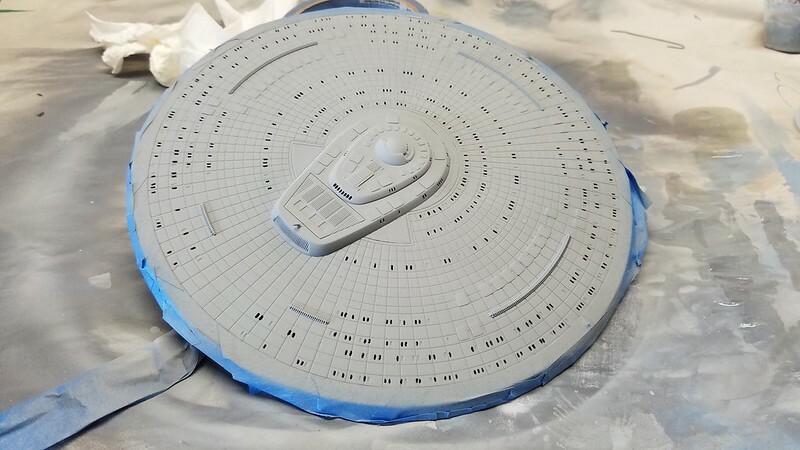 I still have a ways to go on the ship, sanding and painting, but I hope to get the saucer completed, mostly, so I can put it away and try to prevent any more damage to it from handling. Thanks for tuning in and following along! Your comments and support would be greatly appreciated! 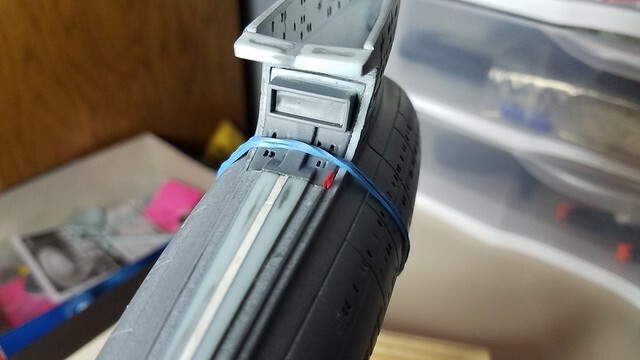 Keep you paint on the model and your glue in the seams! Looking good. I'm not ambitious enough to light anything. At least not at present. Love that insignia badge. 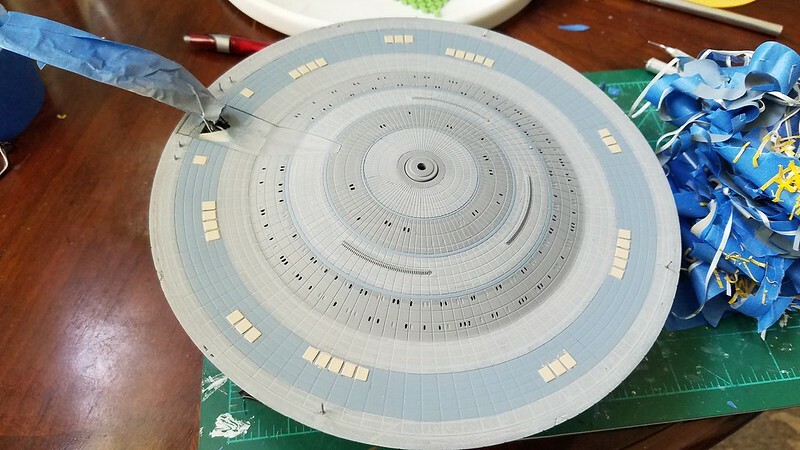 Very nicely done scratchbuild! 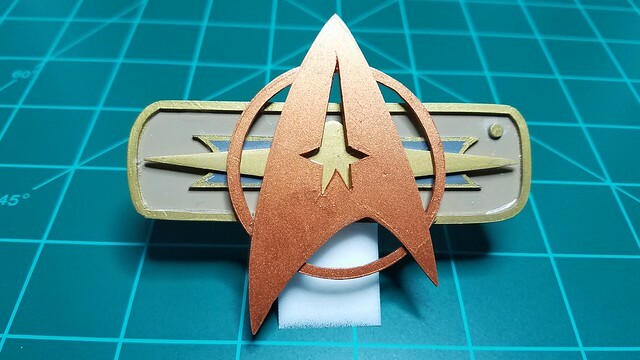 I am quite chuffed the insignia turned out so well. My Son thinks I should make one for Cosplay to a Comicon! I'm seriously thinking about it! It's been a while since I last posted, but I have been a bit busy with masking and painting - like many others here! backs of my Protector work! 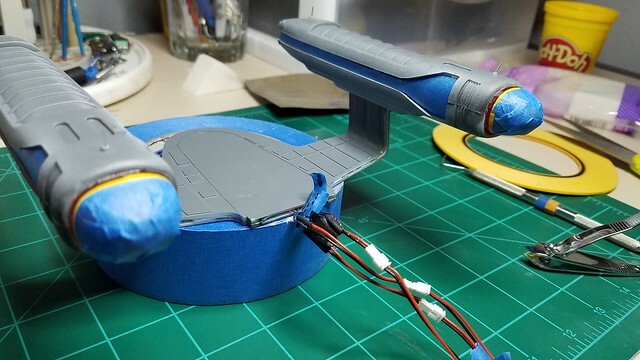 I probably will when I finally get to the secondary hull and warp nacelles! I finally got the blue painted on both sides. 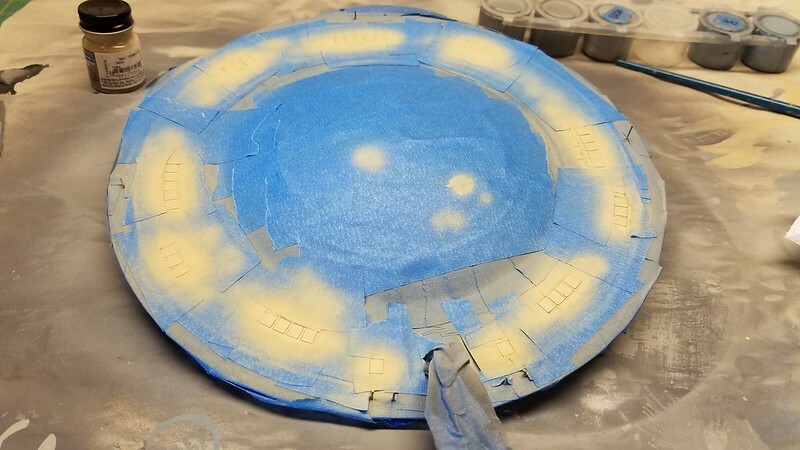 Then came the tedious chore of adding MORE masking to paint the lifepods. Woohoo! And here is the unmasking. 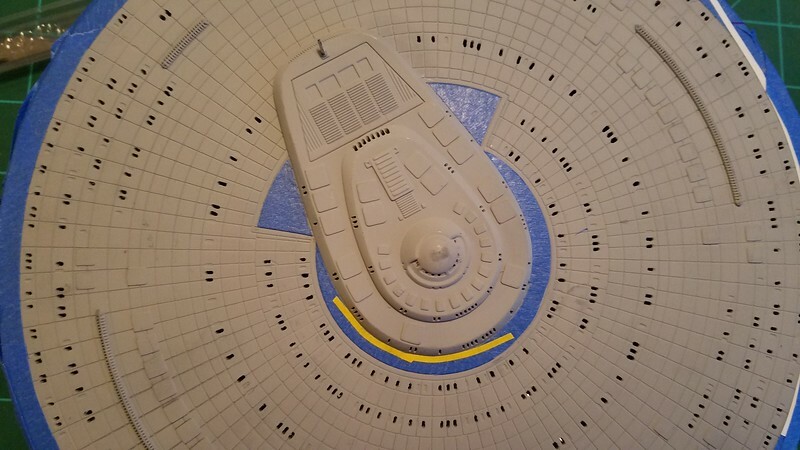 Yeah, I have some touchups to do, including the B/C deck lifepods, but this is still a milestone to getting this done! I am happy with the colors, but I am concerned about the "flat" look of it. 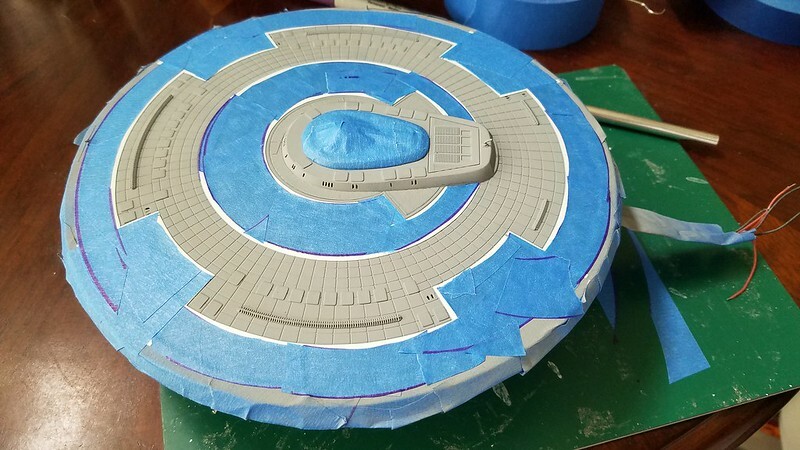 I will be adding a clear sealant on it, which should help, but, for now, I am just happy to get a majority of the paint for the saucer on the saucer! Thanks as always for looking! Comments and constructive critisims are always appreciated! 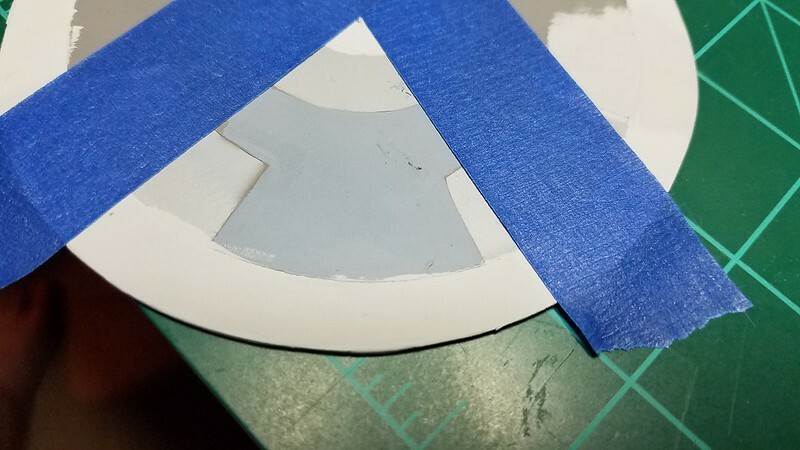 Thanks for posting your masking stages, it's really interesting to see each step of the process. Think your colour scheme is a lot more realistic than the full blue one too.